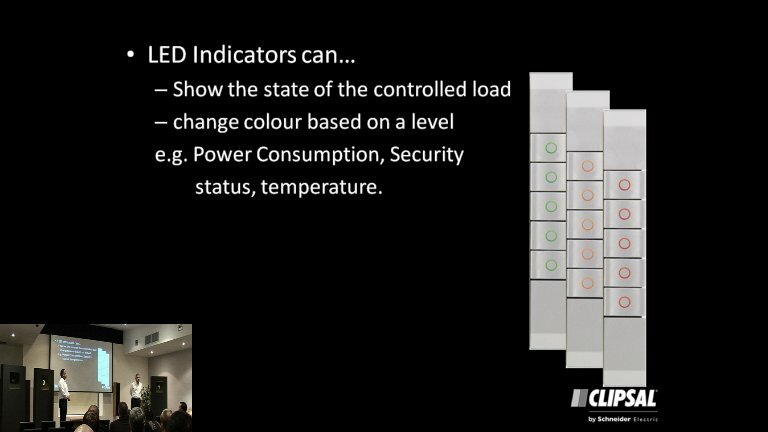 The enhanced Dynamic Labelling Technology (eDLT) switch is the pinnacle of design and engineering excellence. 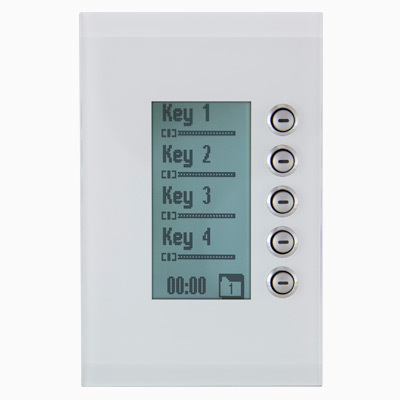 Building firmly on the worldwide success of the previous Dynamic Labelling Technology DLT switch, here is the new version, enhancing it whilst bringing a whole new level of sophistication and functionality. 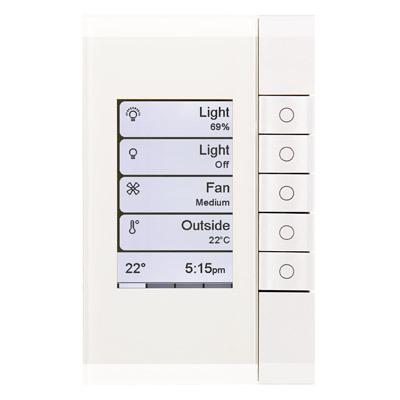 Providing more colours, more control and more functionality than ever beefore, the eDLT offers a huge range of installer and user benefits and innovative design features. 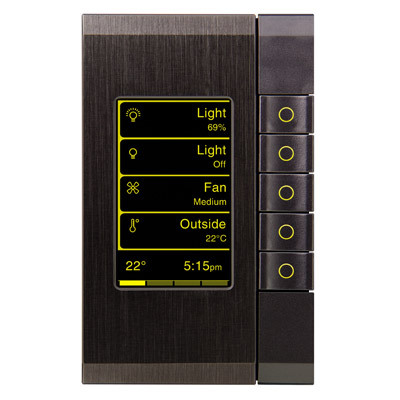 The ability to display information previously only achievable with touch screens such as C-Bus system information and highly configurable indicators using colours are hallmarks of this exciting new product. 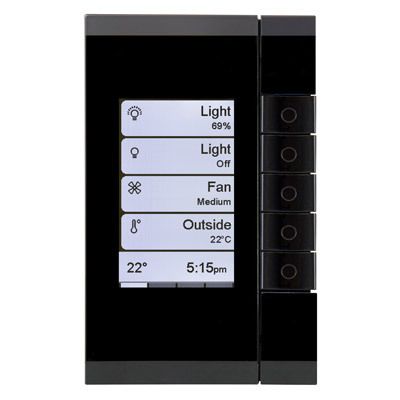 Customize the eDLT to suit your home and décor whilst providing complete control of your C-Bus system. 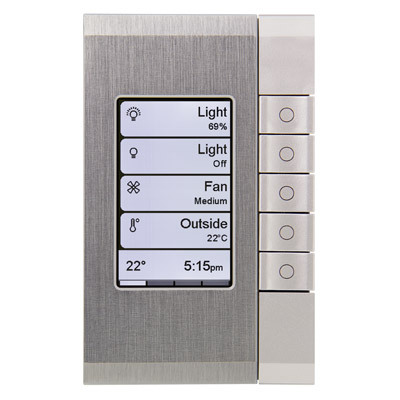 Available to match existing Saturn systems such as Saturn Pure White, Saturn Ocean Mist, Saturn Black (now Saturn Espresso Black), the eDLT also adds the modern looking Stainless Silver (satin) finish and Saturn Horizon Black (Satin), and the just released Saturn Zen Switch, completely new revolutionary new finishes that interior designers and architects will love. 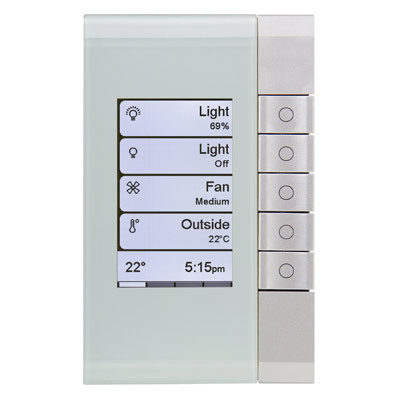 The extensive selection of customisable colour screen options, advanced control abliities and premium quality fascias makes Clipsal's eDLT one of Australia's most advanced and most beautiful wall switches. 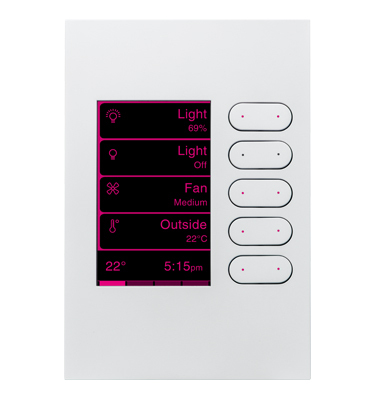 Suitable for both residential and commercial installations, eDLTs will be available in Saturn and Neo ranges, with a black or white grid-plate, and a intuitive common magnetic mounting bracket for easier installation. Colour and Plate Style Choice for eDLT Fascia.